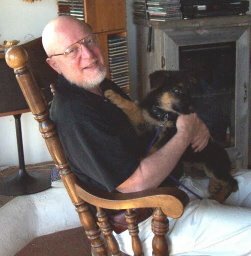 Gerald Weinberg's Secrets of Writing and Consulting: Get the Better You Bundles for Good Now! Get the Better You Bundles for Good Now! It’s here! The Better You Bundles for Good is on sale now for four days only. Get over $6000 worth of personal development courses and books for only $97. There are over 140 products in this amazing bundle! If you are interested in improving your life, there has never been a better selection of resources at such an amazing price. Just a couple of the products will more than pay for the $97 price. The best part is that 25% of the proceeds from the sale are going to support Courageous Kitchen, a charity helping refugees in Bangkok. Your purchase will not only make a difference in your life, it will also help some of the most vulnerable on the planet. Take a look at the broad range of personal development resources included in the Better You Bundles for Good. There are books and courses on goal setting, motivation, health, meditation, stress, productivity, business systems, habits, procrastination, mindfulness and much, much more. If you haven’t signed up for the FREE Change Your Life! ebook, I recommend getting it soon. Dozens of contributors to the bundle have shared their best personal development advice. You’ll get a lot of value from that book alone. I'm giving you this free ebook as a sample of the authors you will find when you purchase the Better You Bundles for Good. But whether or not you purchase, the free ebook is yours to keep and enjoy. Don’t miss out on the Better You Bundles for Good. You only have 4 days!